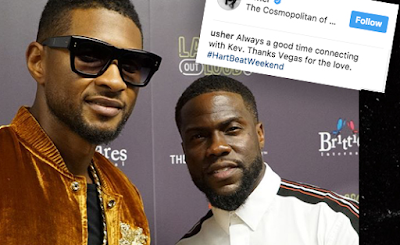 Usher has really not been down with the lawsuits by 4 people claiming he infected them with genital herpes. You know he has even been spotted at the studio with his producer recording new tracks, and only said his accusers have no proof he infected them with herpes? 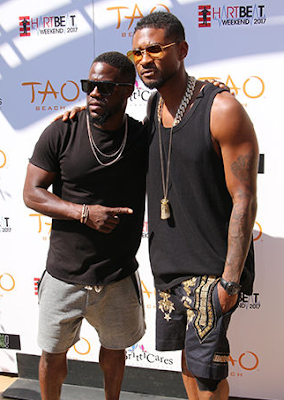 Usher was on saturday spotted again hosting a charity event! He and Kevin Hart did the hosting and they say they did a good job! The charity event benefited children diagnosed with cancer. 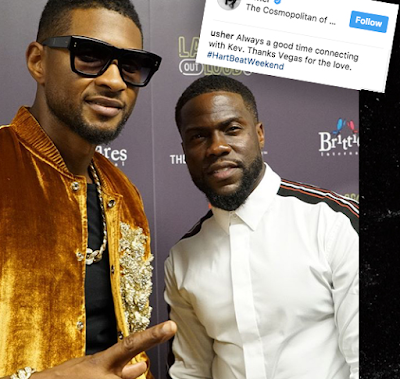 Usher's wife wasn't spotted at least to our knowledge but he sure had a good time and didn't looked disturbed by the lawsuits. Kevin's wife, Eniko was however there and they busted some serious moves. Lol, trust Kevin.